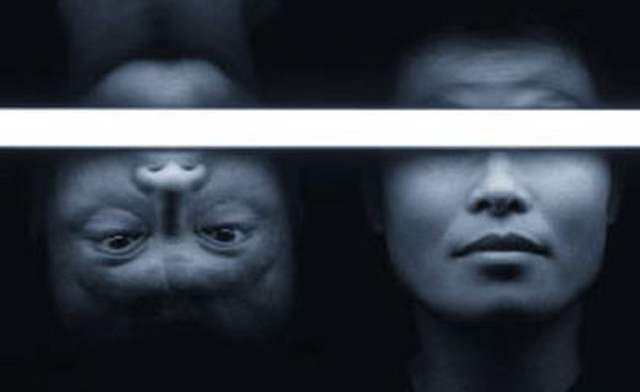 ZeroZero is the latest devised dance work by long time collaborators, Yumi Umiumare, Tony Yap and Matt Gingold. Performed in the intimate space of fortyfive downstairs this hour long work is an experimental exploration of the effects of trance, technology and illumination of the self. Inspired by traditional dances (including many which have clearly defined animal movements) both Umiumare and Yap have clearly mapped out individual journeys, but the strength of their work lies in the highly nuanced awareness with which these paths are carved out for us to engage and observe. In addition, Gingold’s contribution as a technological collaborator is vital to this production and although off-stage, his sophisticated envelopment of the dance movements is certainly a highlight of the show. The performance was fascinating but at times also alienating. The nature of trance exploration is such that invitation to participate in some form is always present – and perhaps the limits of what an audience can or can’t do is restricting within a space where what is being performed is also being shared, what is being displayed is also being given as a gift. To create such a space is not necessarily about venue but about changing how we receive a particular work and the expectations we bring. As a result, the work may seem at times exceedingly physical and not much more; narratives are personal rather than strategically developed for audience consumption and there are certain moments which fail to take the audience to the next level that the performers have reached. The sixty minutes offers a glimpse into various different states of the mind and the body but as the title of the show indicates it is a reflection of two individuals on that journey. if you are ready to explore the metaphor of zero state (zero gravity) then be prepared for an experience that offers much more than simply a visceral aesthetic level.